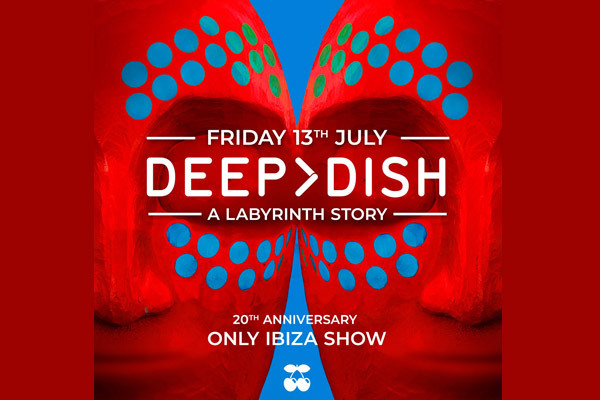 MUMBAI: 20 years after first performing at the iconic Pacha Ibiza, Deep Dish returns for an exclusive show at Hot Since 82’s Labyrinth night. On Friday 13 July the legendary duo will take the stage at one of the island’s hottest residencies to remind everyone why they were once amongst the top ranks of the electronic music scene. Deep Dish split over a decade ago, only playing a handful of shows together since parting ways. Now, both at the top of their game as solo artists, Dubfire and Sharam deemed it necessary to reconnect with a show at a venue very close to their heart; Pacha Ibiza was the first venue on the island to welcome them and will prove to be the perfect location to showcase their special musical chemistry. “Back in the early 90’s Pacha Ibiza was on every DJs performance wish list. We’d only dream and hope that the opportunity to play this legendary venue would ultimately present itself. Once our music began to connect with international audiences, we were invited over to the island for the very first time. Pippi was the resident at the time and he perfectly set the stage for our signature style. It was a night that we have always cherished and look forward to this special return for our good friend Hot Since 82,”said Deep Dish. Hot Since 82’s Labyrinth residency has been praised for its diverse musical offering and unique line ups and with the return of Deep Dish to the island they’ve outdone themselves once again. Now in its second season, the party has become the go-to party for both tourists and locals alike. MUMBAI: DJ and producer Orlando Voorn has delivered the release of his club-ready EP, Positive Vibes, set to drop on NICEPEOPLE. The 4-track production follows Orlando’s recent release Do That Jazz on iconic imprint, Free For All (Be Yourself Music). MUMBAI: Following a huge 2018, performing 80+ gigs in 30 countries, 24 year old Italian producer and DJ Simone Liberali has dropped his hot new EP, Vertigo. MUMBAI: Rising French DJ and producer Plastic Toy has unveiled his brand-new single Try Me, a slick mid-tempo production made alongside Premiere Classe boss DJ Snake.